There is something magical about stars. I can stare at them all night long. They make me dream… make me think of the universe and how small I really am. 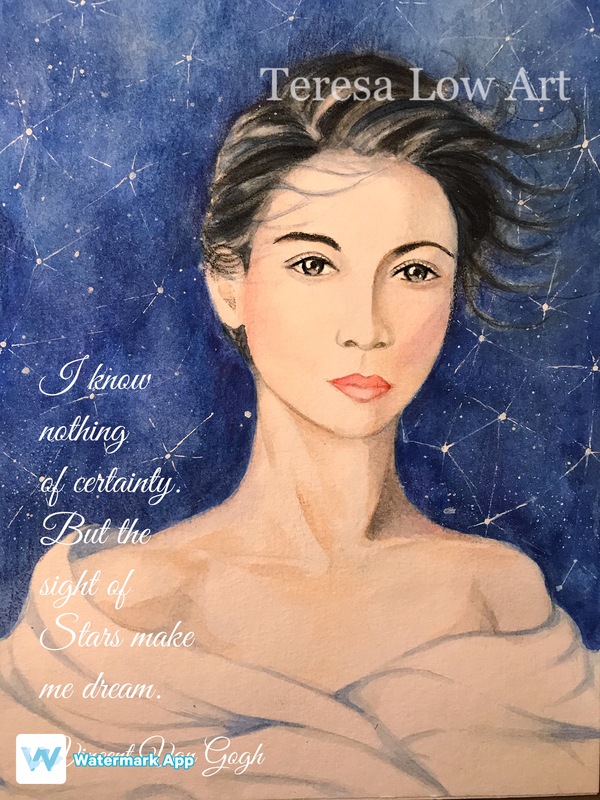 I will never forget lying on the dock by the lake with some girl friends recently and staring at the sky full of stars… I was telling them that I have never seen a shooting star and they offered to lie down and wait for it with me. And my dream came true! I will never forget that feeling. It was magical. I felt like a kid again. Love this quote by Vincent Van Gogh. Watercolor painting.